Washington’s death in 1799, followed by that of his wife Martha in 1802 and then the departure of James Anderson, halted the brief success of the distillery and within a decade the building fell into disrepair. In 1814 the distillery burned down. 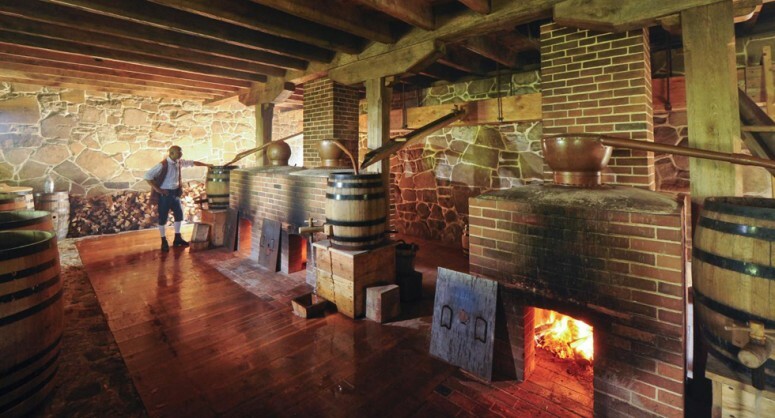 In 1999 excavations started on the site of the old distillery and, with the results from the excavation and Washington’s own notes, the reconstruction of the distillery in 2005-7, financed by the Distilled Spirits Council of the United States. 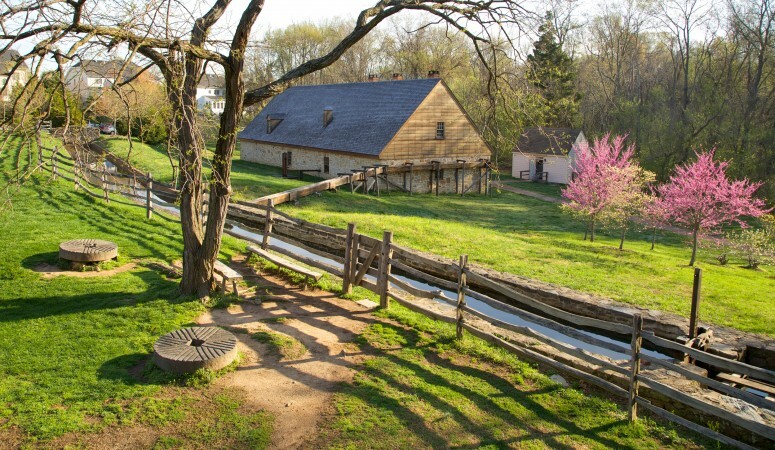 Dave Pickerell, (WhistlePig and Hillrock)) acted as consultant in recreating the distillery, along with Steve Bashore, manager of historic trades for Mount Vernon. Starting with 300 gallons of peach juice, from peaches selected for their strong aroma and flavour, and, working with various challenges, including a lack of gauges to control temperature and transferring the juice and brandy by buckets (there were no pipes and pumps in Washington’s day), they created 60 gallons of peach brandy. 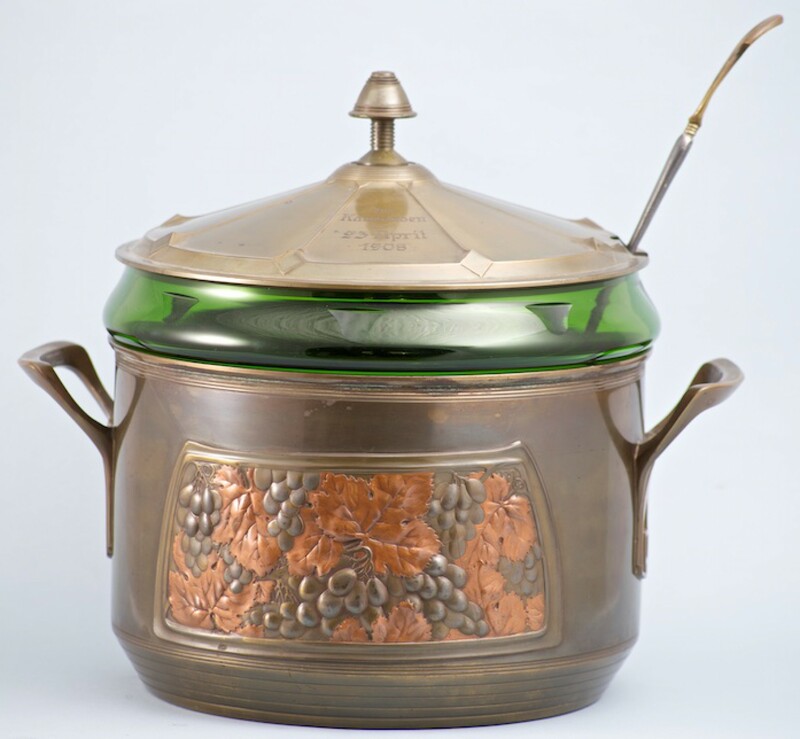 Double-distilled in copper pot stills, the freshly-made brandy has a pronounced peach flavour. The brandy was then aged in toasted-oak barrels for two years. 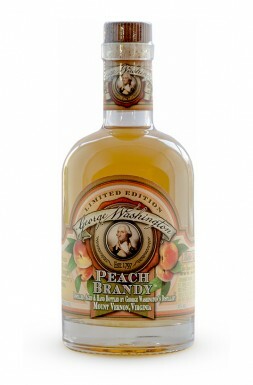 According to M. Carrie Allan of The Washington Post, the resulting brandy retained a delicate peach aroma like ‘bottled Virginia… sunshine’, with slight almond notes on the palate, very different to the commercial peach brandies currently on the market, which are cloyingly sweet with added peach flavours. In punch a very different flavour is achieved depending on whether it is recreated with industrial or artisan peach brandy. My own experiments with fruit eaux de vie have shown that with the correct balance of sugar and lemon or lime juice, the fruit character of the eaux de vie can be delicately emphasised. 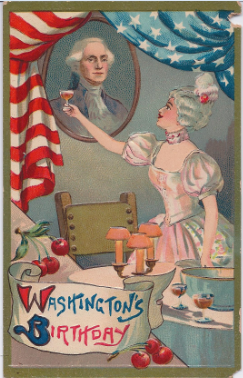 Mount Vernon’s peach brandy enjoyed a pre-launch tasting in March in New York with Derek Brown, a drinks historian, who created a punch with the peach brandy, similar in style to those made by Martha Washington. Washington’s Mount Vernon Peach Brandy is sold at the Gristmill Shop, Mount Vernon, 3200 Mount Vernon Memorial Highway, Mount Vernon, Virginia 22121. Only 400 bottles were available at $150 for 37.5cl from 1st April 1 2014. Sales were limited to one bottle per person and the 2014 release has now sold out.